Samara Halterman is a high-profile "woman of the channel" -- her influence and involvement in the channel truly extends outside of her Marketing Director role at Groupware Technology as she is well known to channel partners and sought after for channel marketing advice. As Groupware's Marketing Director, she has received recognition from her counterparts and contemporaries for building Groupware's marketing department from the ground up to a dynamic force. She has been lauded for her rigorous criteria to achieve corporate goals, ability to foster market relationships and deliver on strategic initiatives. She has led the charge to establish Groupware's distinct brand as well as spearheaded the investment into digital to establish Groupware's strong digital strategy and presence. Additionally, Samara has collaborated with sales management and partners to promote solutions that have increased Groupware's market share with key manufacturers as well as partners in emerging technologies. She has a unique blend of creative, operational and vendor relationship skills and is also able to think strategically while executing tactically against strategy and plans. 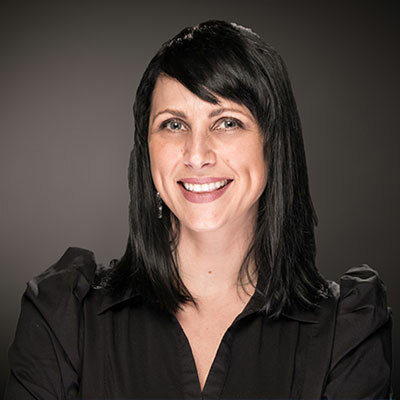 Samara has over 15 years of marketing experience in the tech industry. She has a BA from California State University at Monterey Bay. Over the past year, my team and I have leveraged many successful multi-channel and ABM (account-based marketing) programs to drive demand. We focused on building on our brand strategy initiatives which have elevated our presence in the last 36 months and thereby increase mindshare in our space. My goals for 2018 include continuing to evangelize Groupware Technology's stellar brand reputation through strategic marketing initiatives and building on current and new partnerships. We will also fine tune and continue advancing our thought leadership initiative to position our engineers as SME's, as well as advocacy of female mentorship programs in the channel. The demands of my job as a marketing director in the fast-evolving world of tech, which include frequent travel, make me conscious and hyper aware of trying to maintain a healthy work/life balance. This is especially important to me with two young daughters, to lead by example and show them that you can have it all, but as my mentor tells me, "just not all at the same time." One award I received last year that I am most proud of was given to me by my daughters, "Best Mom in the World"! A woman whom I greatly admire is Anna McDermott, who is currently a successful writer and management consultant /executive coach. She was previously CEO of GE Access, having been promoted to the company's top position based on her impressive track record as the company's executive vice president. In the male dominated world of tech, Anna is a whip smart female. It's going to get better-- don't give up! My goal is to obtain an MBA in marketing, with a brand strategy concentration. One of the great benefits of working at Groupware Technology is its advocacy and support of continued education. The company shows it is truly invested in the professional growth of its employees with its tuition reimbursement program. I would apply my brand strategy mastery to further hone Groupware's marketing strategy in raising the company profile and engaging with customer targets. I heard a presentation about the Golden Circle at Cisco Velocity last year and it inspired me to find the original author. The book and author are, Simon Sinek "Start with Why" and it's a story about being a truly inspiring leader and how to help others tap into their "why". The concepts and story resonated and spoke to me so profoundly that I presented the idea to our company at our kickoff in January this year.